Business-to-Business (b2b) marketers want their content to drive stronger results, specifically in terms of engagement and conversion, reveals new study. Content Marketing Institute and Brightcove conducted a survey of 1800+ B2B marketers to learn how they use content as a part of the marketing mix and the result is the infographic below. Content marketing remains a priority for majority marketers: 86 percent. Consistently producing engaging content and measuring content effectiveness are the top challenges that B2B marketers face. 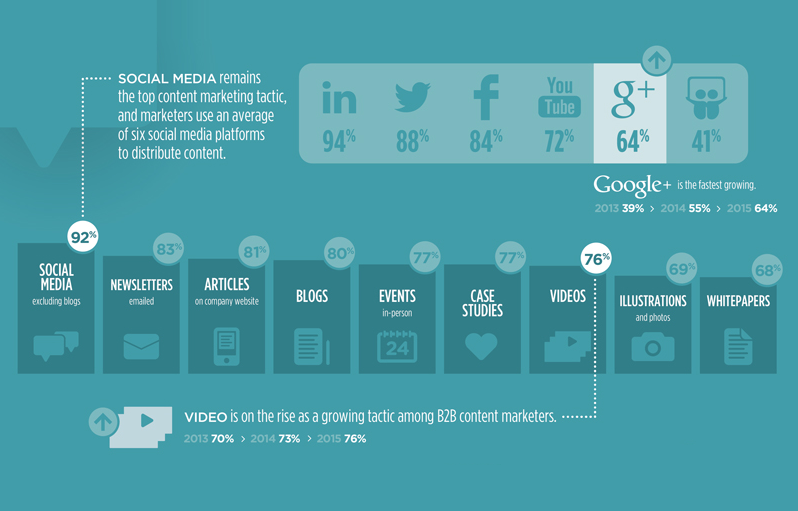 Social media remains the top content marketing tactic, and marketers use an average of six social media platforms to distribute content. Take a look at this infographic for rest of the findings.